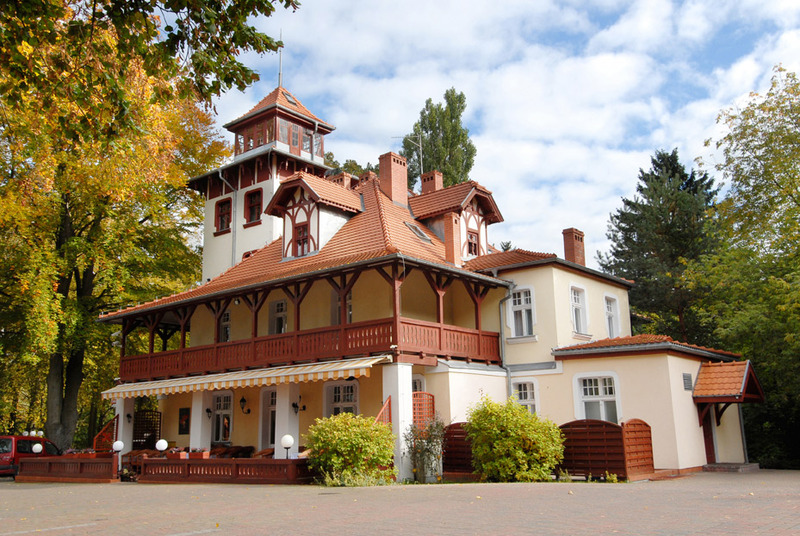 Restaurant and hotel "Straszny Dwór"
The story of Straszny Dwór (Scary Mansion) dates back to the year 1904 when a German aristocrat von Lütvitz raised a forest cottage on the hill by the Strzeleckie Lake. 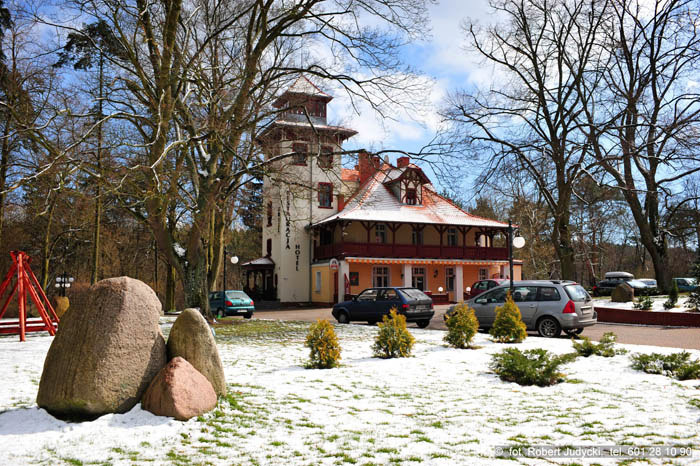 In 1921, Stanisław Mańczak, the owner of the faience factory in Chodzież of the time repurchased the forest cottage and with his passion for Moniuszko’s opera placed a clock on its tower and called the property a Straszny Dwór. The colorful fate of three Mańczak brothers, that is, Stanisław the watchmaker, Maksymilian the singer and Sylwester, intertwining with the story of the manor house has shaped the atmosphere and the character of this picturesque place. 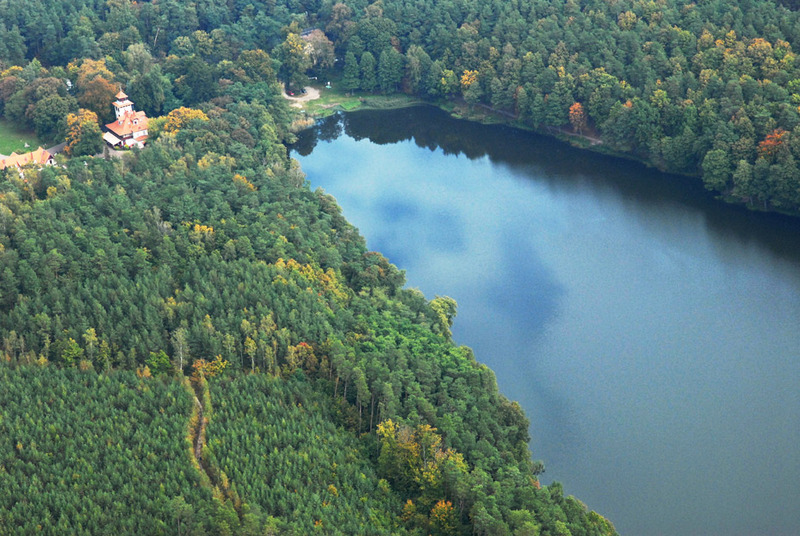 Since 1995, the Wałkowski family has been the owner of Straszny Dwór. 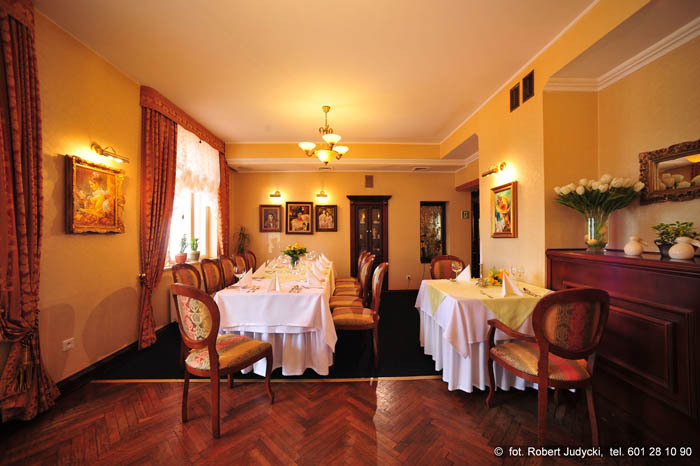 The intimate atmosphere of the Restaurant Straszny Dwór creates a perfect ambience of joyous meetings with family and friends. 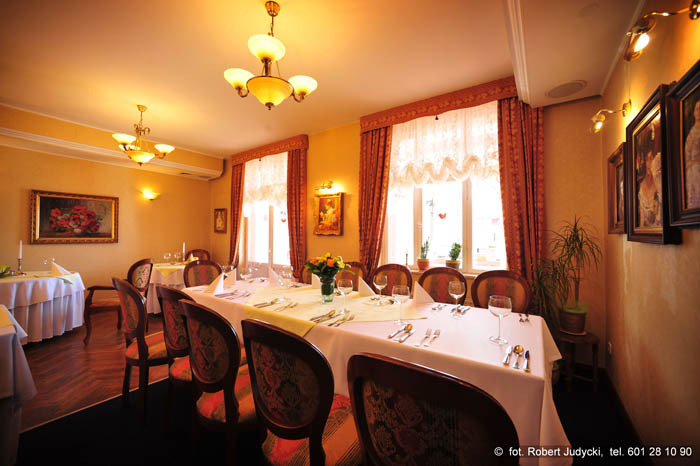 Every guest will find European and Polish cuisine in our menu. Pleasant, discreet and excellent waiter service makes every meal unique.